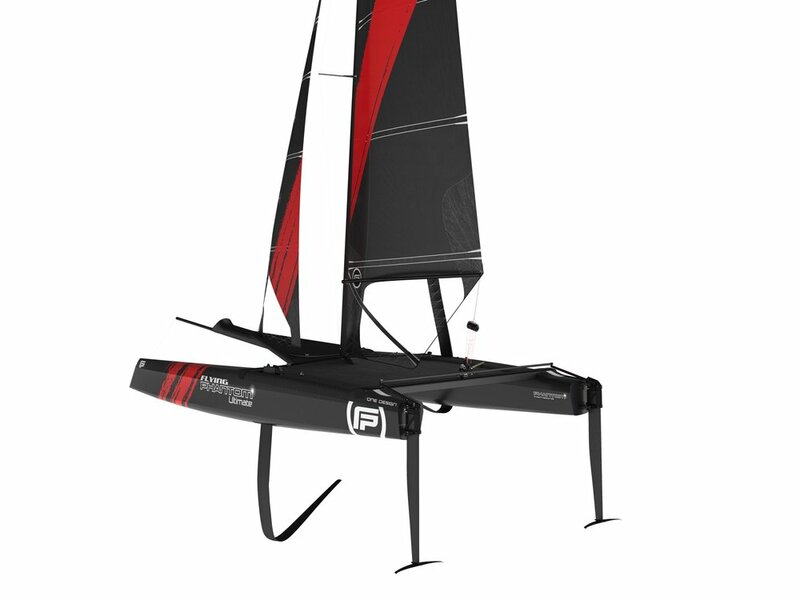 The Flying Phantom ULTIMATE offers the 18’ catamaran that only Phantom could create: high performance and precise agile handling, with ultimate refinement. 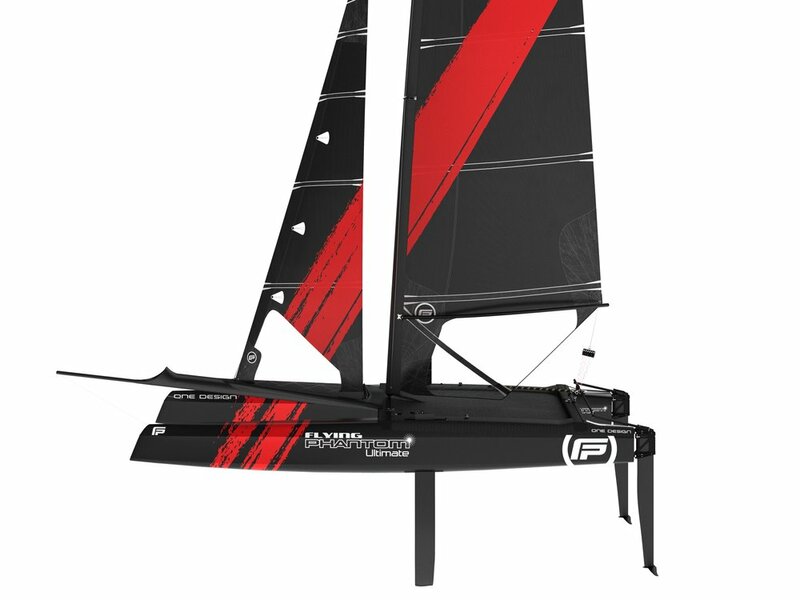 The FP ULTIMATE is the result of Phantom International unrivaled experience in foiling beach catamarans combined with the benefits from the last AC50 developments in Bermuda during the America’s Cup. It was designed to be furthermore efficient on every point of sail, with upwind VMG up to 15% higher than foiling cat benchmark. 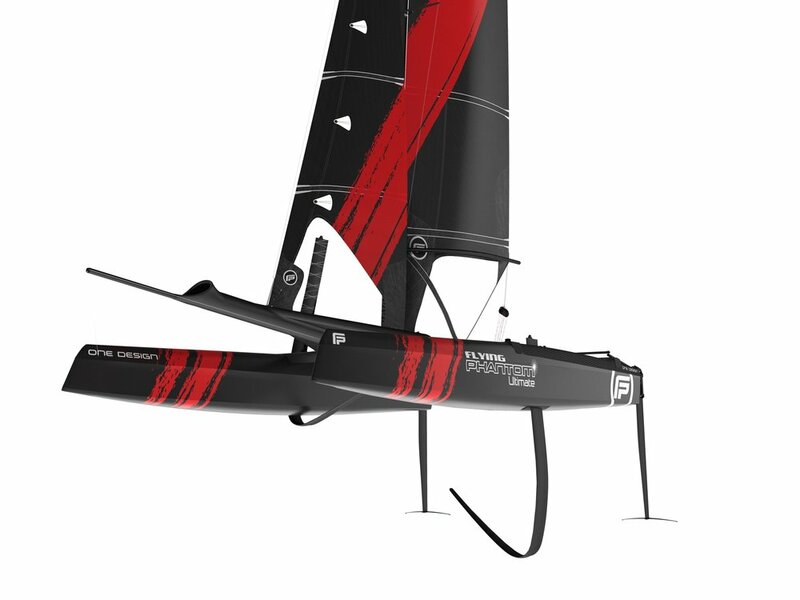 The brief was clear: 100% foiling upwind with enhanced performance and stability and better foiling gybes. 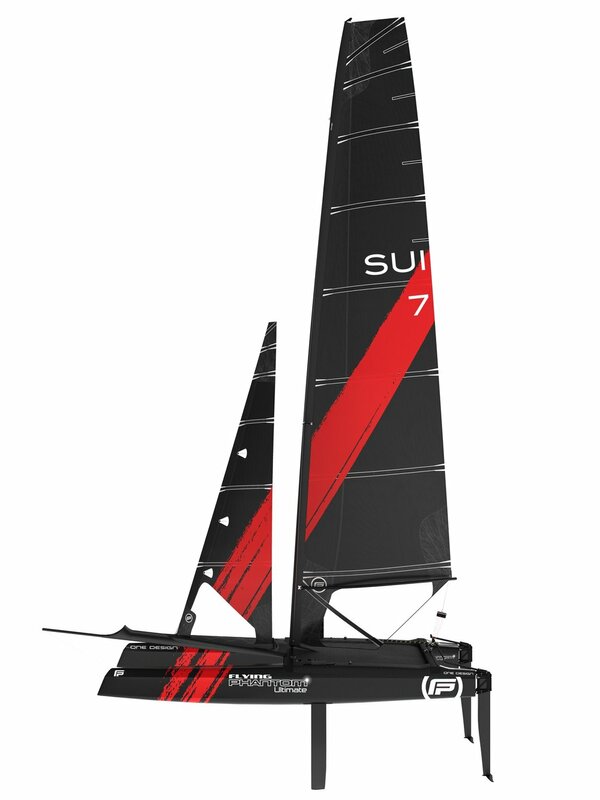 It is something that has never been achieved before on this type of boats. Experience what performance feels like and to become an exclusive member of the Ultimate owners club (limited production). 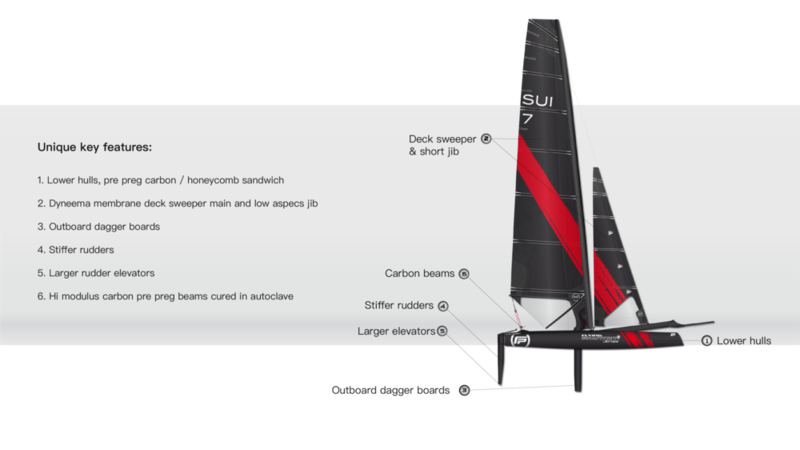 The deck sweeper cut lowers the center of effort in the sail, thus providing more righting moment. 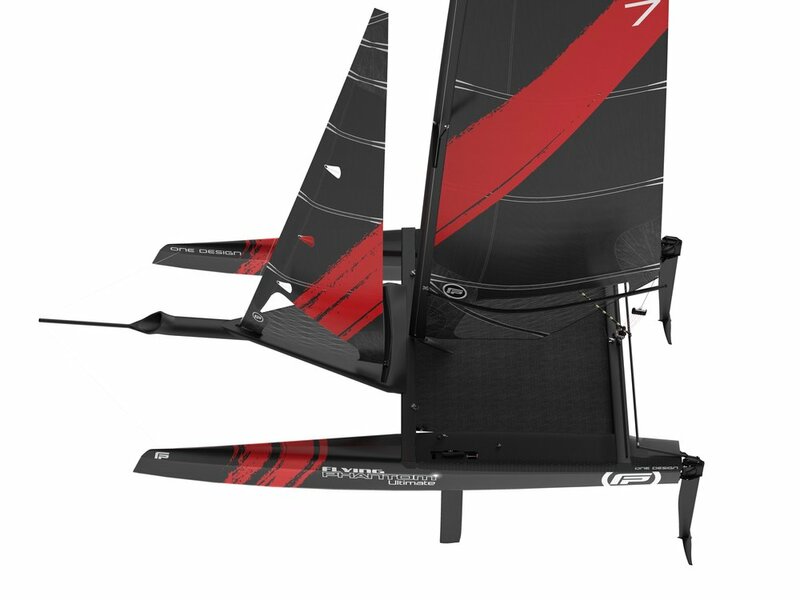 This results in a more powerful sail but also makes flying much easier. 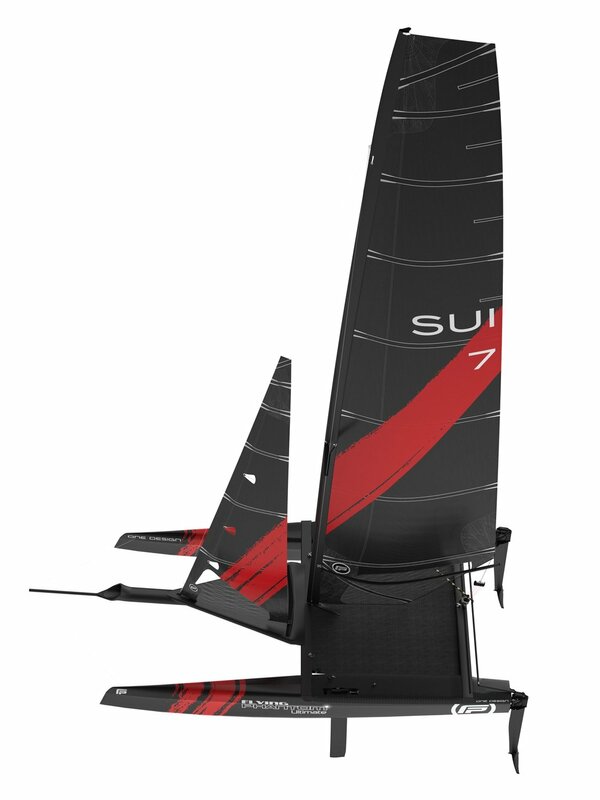 The rudders have been optimized to improve the stiffness for better handling and control. 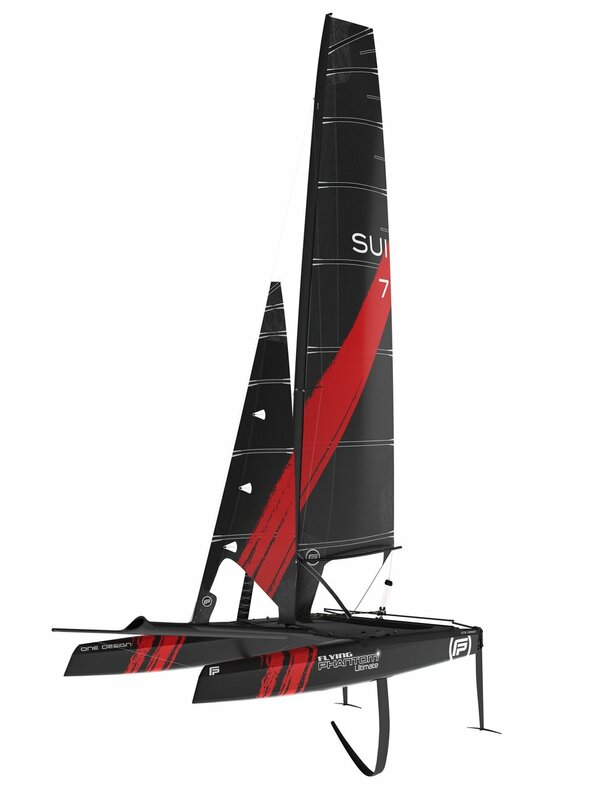 They are longer to keep the elevator deeper in the water. 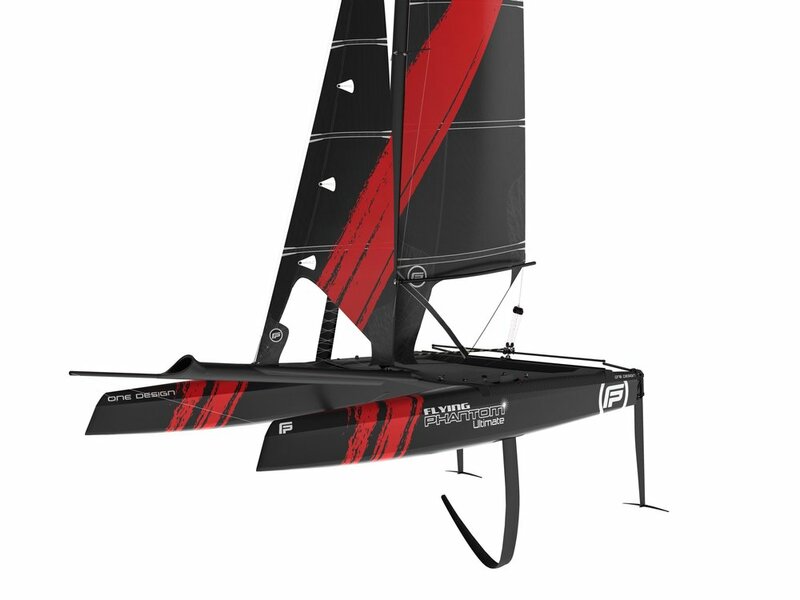 Now that the foils are more efficient we managed to increase the elevator area for the same overall drag, which results in better stability on every point of sail and in the manoeuvres and especially the foiling gybes. 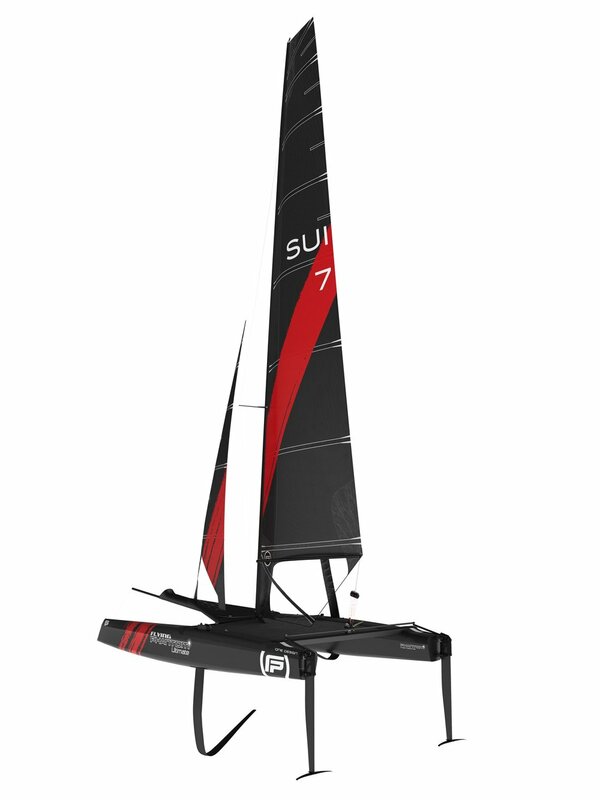 The shape of the rudder elevators is also more efficient, with wing tips to reduce induced drag and smooth shaft / elevator junction to reduce pressure drag.